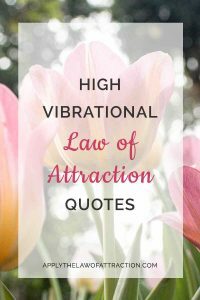 The best Law of Attraction quotes inspire you and help you maintain a high vibration. Here are more of my favorite Law of Attraction quotes that I've collected over the years. I hope they raise your spirits as much as they do mine.